The world is progressing at a lightning speed and shopping is no longer restricted to malls and markets. E-Commerce is growing and it has become widely accepted these days. People from all across the globe are spending huge amount of money shopping online. There are so many different portals that cater to every possible needs but there are still avenues that have been left unexplored. What you have to understand is that the time is ripe and if you want to explore this untapped market you have to seize this moment. This is the perfect moment because there is still not too much competition and there are ample unexplored opportunities that can be utilized. There are many different ways in which you can go up in this profession. What you have to focus on is the kind of people you wish to cater to. You will have to tap the untamed resources that are available and still has not been used by other companies so far. If you have the perfect idea then it is the best time to execute it. There are so many different avenues that are just opening up and people are fast adapting to this new trend. Online shopping is the new in thing that is being accepted throughout generations and cutting across all barriers. Even there are various parts of the world where online shopping is yet to make a powerful entry. It has not as yet made entrance in the rural areas of different countries and even if it has the services are not that improved. What you have to understand as an entrepreneur is that you will have to apply a very new technique and ideas that will propel you to the top. In this market there are various opportunities that cannot be explained. You will have to come up with brilliant strategies that will work in different scenarios and help you reach the top. But this is the perfect time because there will not be a second opportunity. The market can very soon become saturated with so many players trying to make an entrance. The key to make an entry is by making a strategy that will be far more practical and useful than what other companies have in place. Today internet is easily accessible and used by almost every person. No matter how much time they spent online, they will be sure to check out one e-commerce site during their browsing history. 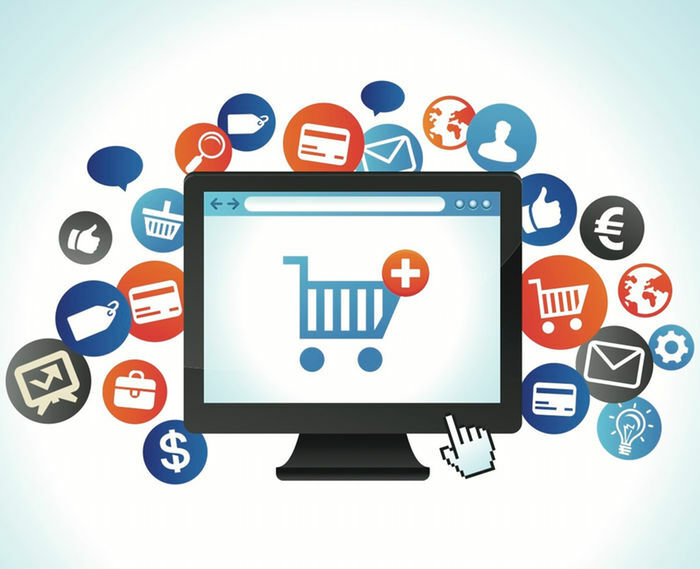 If you make a powerful entry into the e-commerce business now you will have a chance to beat the other well established companies because in this virtual world things are constantly changing and it is changing at a very fast pace. All you need is an idea that other players do not have. You will also have to think of the services and consumers. What most established companies ignore the consumer needs once they have become successful but as a startup you will have to provide customized and niche services that will be un-parallel. The best way to do this is by starting now. You will be surprised by the amount of money you can make in a short while by starting an e-Commerce site. The key is making a website and also getting a presence in all the social media. By doing this you will be able to attract the maximum amount of traffic and that will ensure more purchase. You will have to offer products that are better than that of your competition. You will have to make your consumers believe in your website and marketing policies.